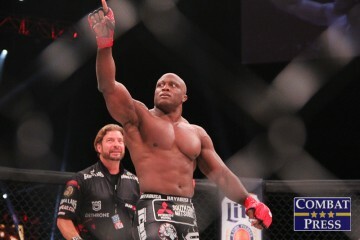 Bellator MMA’s heavyweight grand prix is in the rearview mirror. 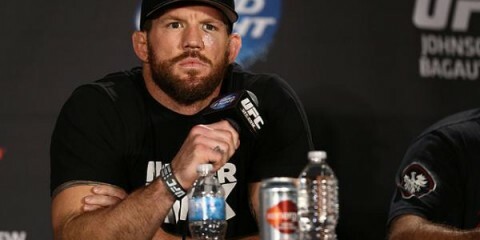 Ryan Bader is the champion, and now everyone else can commence the chase. This includes Bellator 215 headliners Sergei Kharitonov and Matt Mitrione. The big men collide when Bellator returns to the Mohegan Sun Arena in Uncasville, Conn., on Friday, Feb. 15, for the first of the company’s two shows in a single weekend. Mitrione, one of the rare fighters to begin his professional MMA career on the UFC roster, has now made five appearances with Bellator MMA. After wins in his first three promotional outings, including one against Fedor Emelianenko, the NFL veteran was named as one of the participants in the heavyweight tourney. He won his opening fight against Roy Nelson, but he couldn’t get past Ryan Bader in the semifinals. This fight marks the 40-year-old’s first outing since he was eliminated from the tournament. Kharitonov was part of a different Scott Coker-masterminded heavyweight tournament, back in the old Strikeforce days. The Russian kickboxer topped Andrei Arlovski, but he fell short against Josh Barnett. The Pride veteran wasn’t afforded a spot in the more recent Bellator bracket, but he is now 2-1 with Bellator and has not lost in his last six fights. Kharitonov now has a chance to climb further up the Bellator heavyweight ladder. The heavyweight battle tops a card that also features Bellator prospect Logan Storley and former champ Eduardo Dantas. Storley enters the cage in the co-main event, where he meets veteran Ion Pascu. Dantas is out to snap a two-fight skid earlier in the evening when he locks horns with Toby Misech. The action kicks off on Bellator.com with the preliminary card at 6:30 p.m. ET. Then it’s off to the Paramount Network at 9 p.m. ET for the five-fight main card. 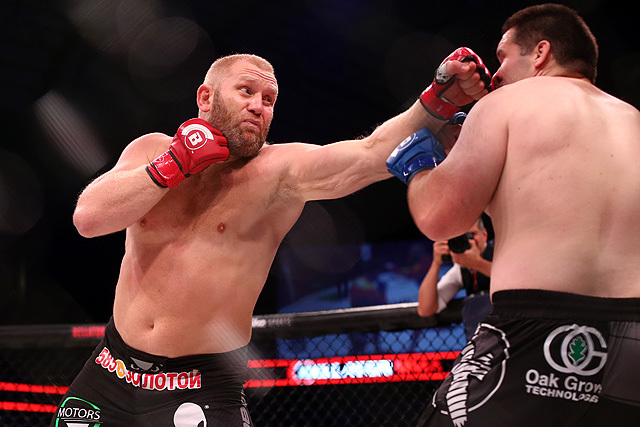 Sergei Kharitonov’s momentum under the Bellator banner was undermined by a loss to Javy Ayala, but the Russian is now 10-1 with one no-contest since the start of 2012. He takes on Matt Mitrione in the Bellator 215 headliner. Will this mark the beginning of Kharitonov’s rise to the top of the Bellator heavyweight division? Kharitonov is such a strange case. 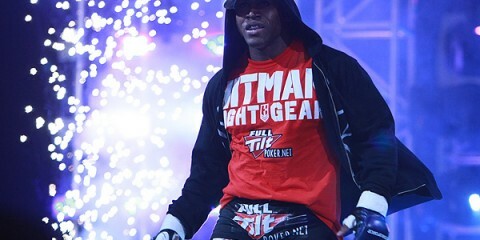 He’s been a professional mixed martial artist since the year 2000, but he has never fully capitalized on the big stage. His 8-3 run with Pride was the height of his success. He only made two appearances each under the Dream and Strikeforce banners, and he’s a modest 2-1 with Bellator, where he suffered the Ayala loss in his promotional debut. However, this looks like his best chance to make a mark. The 38-year-old kickboxer has made up for the Ayala loss with those 10 wins, which include Bellator victories over Chase Gormley and former UFC mainstay Roy Nelson. The first-round finish of Nelson came in Kharitonov’s most recent fight, and now he draws another UFC veteran in Matt Mitrione, who was also featured prominently in Bellator’s recent heavyweight grand prix. Mitrione is no pushover. He’s topped the likes of Fedor Emelianenko, Derrick Lewis and the aforementioned Nelson. His power punching and huge frame make him a constant threat to play spoiler. However, he’s not a polished striker like his counterpart in this fight. Kharitonov easily holds the advantage in the kickboxing and boxing portions of this affair. The sneaky part of Kharitonov’s game is his grappling acumen. He’s never going to be described as a submission or ground specialist, but the Russian does have 10 wins via submission. He’s quite capable of handling himself on the ground. Mitrione’s best move will probably be to shoot for takedowns and attempt to gain top control before firing off barrages of ground-and-pound strikes. If the former football player can’t find success in this realm of the fight, then he’s probably doomed. Kharitonov can tear him apart in the clinch and at distance on the feet. The former paratrooper Kharitonov could spark a rise through the Bellator heavyweight ranks with another first-round finish here. It won’t completely erase the memory of the knockout from Ayala, but it will give the Pride veteran three straight finishes with the company. Bellator can use that highlight reel to give the Russian a huge push. Undefeated blue-chipper Logan Storley continues his rise with a co-main event appearance opposite veteran Ion Pascu. Is this another test Storley can pass with flying colors? Storley entered the MMA world after a decorated wrestling career first as a kid in South Dakota and then as a four-time NCAA Division I All-American at Minnesota. He dominated the competition with the Resurrection Fighting Alliance and its successor, the Legacy Fighting Alliance. He landed in Bellator in 2017 and needed less than two minutes to destroy Kemmyelle Haley. Decisions over Matt Secor and Joaquin Buckley followed. Most recently, Storley scored a ground-and-pound finish of AJ Matthews. So far, the Power MMA and Fitness product has passed every one of his tests with relative ease. He faced rookies and fellow aspiring prospects through his RFA and LFA days, but Bellator has not gone easy on him — the combined mark of his four Bellator foes was 33-16 when they entered the cage with Storley. The wrestler has made it look easy, and he could do it again when he faces Pascu. The Romanian fighter has 18 career wins and 27 total fights under his belt, but he’s already suffered losses to the likes of Max Nunes, Jake Hermansson, Aslambek Saidov, Ed Ruth and Lorenz Larkin. 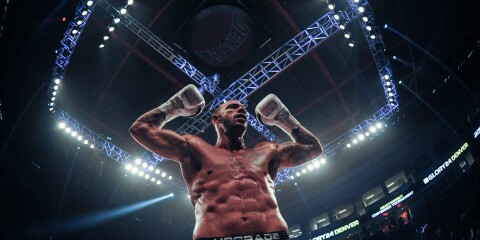 The 36-year-old’s most notable wins have come against Jack Marshman, Lee Chadwick and Alex Lohore. In other words, he’s something of a gatekeeper. Storley can look to Ruth’s showing against Pascu for guidance. The Romanian can deliver on the feet and even found success with takedowns against Ruth, but a well-rounded attack from Ruth proved to be too much for the veteran in the long run. Ruth utilized forward pressure and top control on the ground to gain the upper hand. Storley can likewise trade strikes and work for dominant position. Storley is extremely aggressive in his ground-and-pound attack, which could give him the finish where Ruth had to settle for the decision. Which fight is the sleeper match-up on this card? 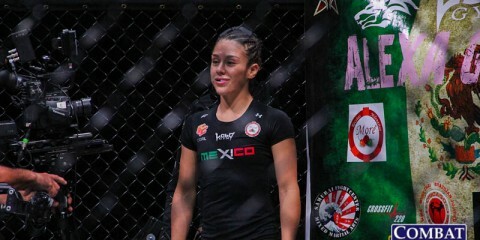 In terms of relevance, the easy pick would be the women’s featherweight scrap between Amber Leibrock and Amanda Bell, which is puzzlingly buried in the prelims while the main card contains a fight between a pair of bantamweights who have a combined six pro fights. However, it’s that oddly placed bantamweight tussle that does take the sleeper honors. Mike Kimbel and John Douma aren’t even within shouting distance of becoming household names at this point. Kimbel is just 2-0 as a pro and posted an awful 3-5 mark at the amateur level. Douma had a far better 5-2 run as an ammy, and he’s gone 3-1 at the pro level. Both men are in their very early twenties, though, and have plenty of room to grow. Bellator didn’t elevate these men because of their prospect status. Instead, it has to do with Kimbel’s surprising success with the promotion. He won his pro debut under the Bellator banner in just 63 seconds, and his second fight, which came against Alex Potts at Bellator 207, only made it six seconds before Kimbel laid out his opponent. Douma has fared well with the CES MMA organization, but it’s his own finishing ability that makes him the perfect dance partner for Kimbel. This could be an all-out war, as Kimbel looks for another quick finish and Douma tries to trip up Kimbel’s stunning rise. Bryan Henderson became a fan of MMA in the late '90s when he happened upon the early UFC events on VHS at a local video rental store. He started writing about the sport on his Sporting News member blog in 2007 before becoming an official staff writer for Sporting News' "The Rumble" MMA/boxing blog. He went on to become a staff writer and the Features Manager for MMA DieHards before moving on to The MMA Corner, where he assumed the role of Editor-in-Chief. Bryan left The MMA Corner in 2014 and founded Combat Press along with two of his colleagues. In addition to covering mixed martial arts, Bryan also operated the Modified Mind body modification e-zine website for more than a decade.